Home Care Nurse Abuse Attorney in Atlanta | Suggs Law Firm P.C. Many senior citizens desire to stay independent in their homes as long as possible. To do this the services of a home care nurse are often obtained to assist in a range of tasks. Unfortunately, there have been an alarming increase in the number of cases in home care services when that care turns into abuse, neglect, or exploitation. If you or a loved one are a victim of home care nurse abuse, neglect, or exploitation, you have the right to pursue compensation. Research suggests that 1 in 10 Americans 60 and over have experienced some form of elder abuse. Elderly abuse is a difficult topic but needs to be addressed as soon as possible. Home care nurse abuse can be financial, physical, and emotional. The abuse can be embarrassing for the senior. Many seniors fear that if they complain, they will go into a nursing home. Others have dementia where they might not remember that they have been abused. 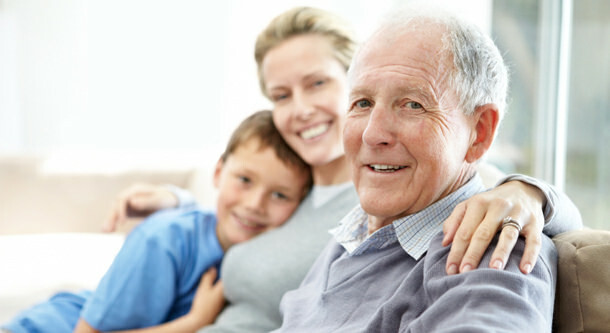 Therefore, it is often a family member or someone else close to the senior who reports it. There are different reasons for caregiver abuse and understanding what led the caregiver to abuse is important in filing your case. One of the leading causes of elder abuse is caregiver stress that prevented the caregiver from being able to properly care for the elderly. Another possible cause is substance abuse that may have resulted in a caregiver stealing medication that then caused the elderly person’s health to deteriorate. Yet another cause could be financial that caused the caregiver to steal or mismanage funds. No matter the reason, there is no excuse and the caregiver must be held liable. You and your loved ones have placed your trust in someone who deceived you in providing proper care. It is the duty of a home care nurse to attend to the senior’s safety and provide care that maintains the health and wellbeing for the senior. When they fail to do this and cause harm and suffering, they need to be held liable. While home care services have been a growing trend over the years, there are no federal regulations covering home-care workers other than broad standards for care provided under Medicaid. Only 15 states require agencies to conduct periodic in-home reviews to make sure workers are doing their jobs. The good news in Georgia is that you now have some legal recourse with Georgia House Bill 635 and other bills soon. Unfortunately, the problem exists. With regulations being limited or non-existent, the result is that home care nurses are commonly poorly trained and underqualified. They also might not be required to have criminal background checks. We’ll fight for just compensation in home care nurse abuse. If you or your loved one has been the victim of abuse or negligence from a home care nurse, contact Suggs Law Firm, P.C. to discuss your case. We know how heartbreaking, stressful, and emotional this is for you and your loved ones. We will fight hard to bring you just and fair compensation. To prove home care nurse abuse or neglect, we will gather all the facts and circumstances regarding the lack of care, negligence, or exploitation that harmed the senior. Consequently, an independent investigation may be necessary. Once we build a solid case for abuse or negligence, and evaluate all the facts and circumstances, we will determine an amount of compensation to you that would be fair and just. We will then pursue the law to the full extent to get you the justice and compensation you deserve.